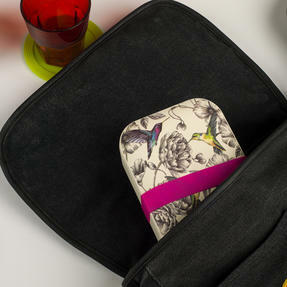 Enjoy your lunch on the go guilt-free with this Cambridge Marcianna lunch box, made from eco-friendly bamboo. 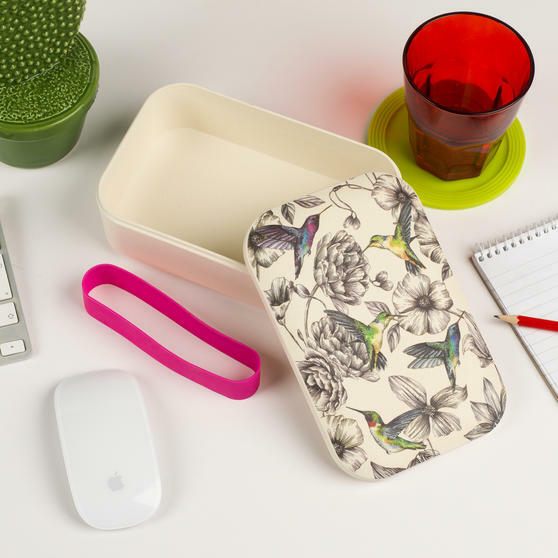 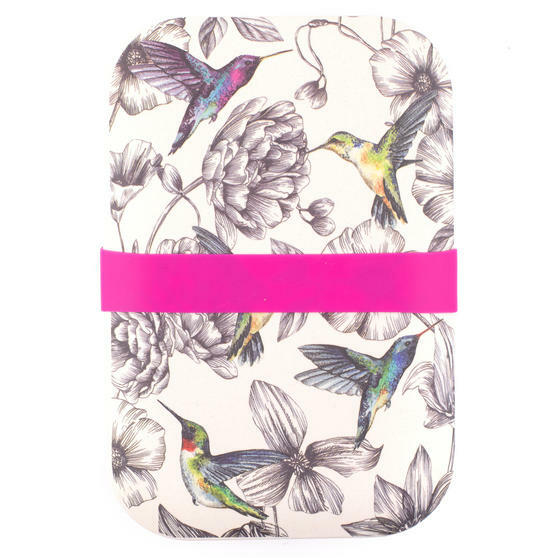 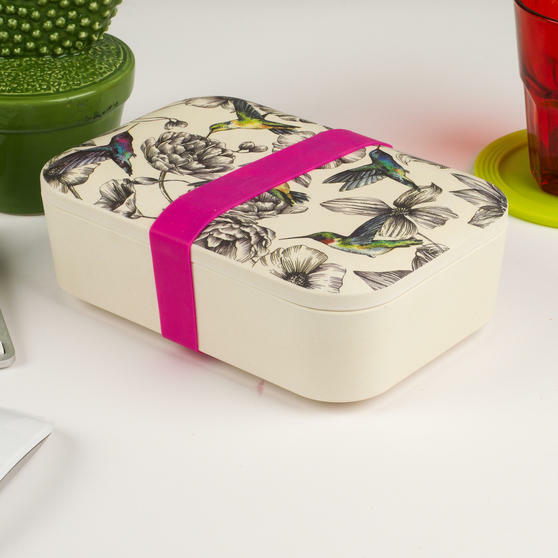 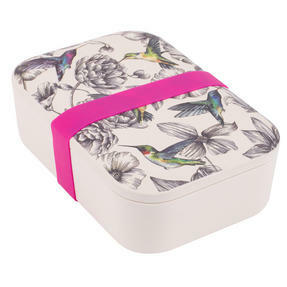 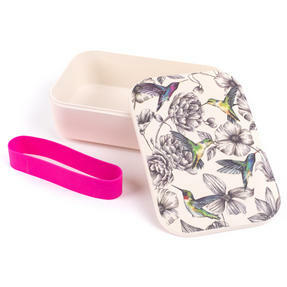 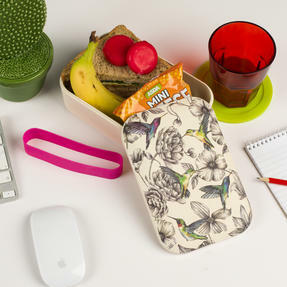 Lightweight, durable and dishwasher safe, the lunch box features an illustrated floral design with colourful birds and a pink silicone belt to secure the lid. The beautifully compact lunch box measures 19l x 12.5w x 5.5h cm, suitable for carrying in your bag and enjoying your favourite dishes anywhere, it is the perfect size for healthy snacks or taking a delicious homemade meal to work. 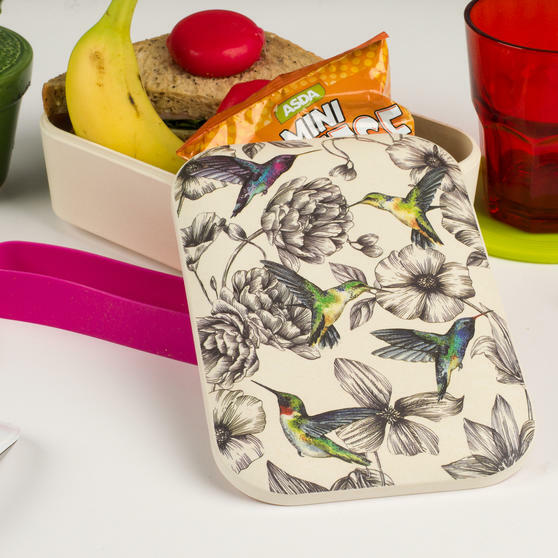 Brighten up your lunch break with this Cambridge Marcianna bamboo lunch box, featuring a colourful design and secure silicone belt.